Vicky Rudolph teaches Spanish to second-grade students at Parley’s Park Elementary School as part of Park City School District’s dual-language immersion program. It has been a challenge for the district to adopt and modify courses and lessons throughout all schools, but teachers, administrators and students say they are happy with the success of the program. On Brittney Mellin’s first day at Parley’s Park Elementary School, she thought it was odd her peers were switching between Spanish and English throughout the day. But as a bilingual child herself, she went along with it and assumed that’s just how school was in Utah. It was not until later that she realized she was in a program a small percentage of students throughout the country are able to participate in. 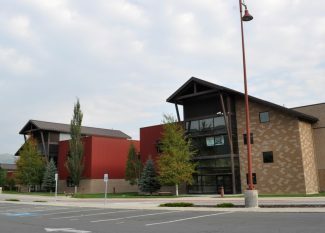 The dual-language immersion program, which is implemented at all schools in the Park City School District, helps students become bilingual in French or Spanish from first grade to their senior year. Although it has been in place at some schools since 2009, the program is still fairly new and is constantly evolving. As students move through the grades and administrators observe the effects, expected and unexpected consequences have come to light. Trailside Elementary School and Jeremy Ranch Elementary School teach French, while Parley’s Park Elementary School and McPolin Elementary teach Spanish. 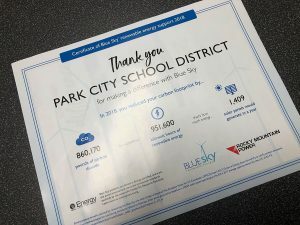 Park City is the first, and only, district in Utah to have all of its elementary schools on board with dual-language immersion, according to Georgia Geerlings, a state-funded DLI coordinator who spends part of her time working with Park City School District. The students who kicked off the Spanish dual-language immersion program 10 school years ago at Parley’s Park are now sophomores at Park City High School. Last year, many proved their skills by passing the Advanced Placement test in Spanish with flying colors. Traci Evans, interim associate superintendent of teaching and learning, said 84 percent of the students scored a 3, 4 or 5, which are passing grades for the test. A total of 32 students took the exam. Evans said their results were “remarkable,” especially because they were freshman taking an AP exam for the first time. It is evidence of the program working, and she said it is exciting to see how far the program has come over the years. To keep up with the student’s advanced abilities, the district stepped into new waters this year by teaching upper-division college courses to the first cohort of Spanish DLI students. 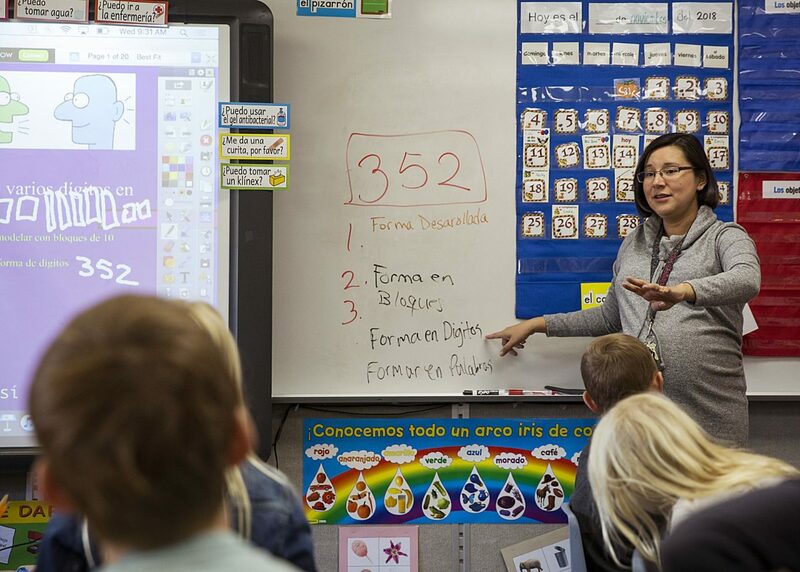 In the University of Utah’s newly formed Bridge Program, which connects proficient foreign language speakers with higher education, college professors from schools around Utah co-teach 3000-level classes with high school instructors. 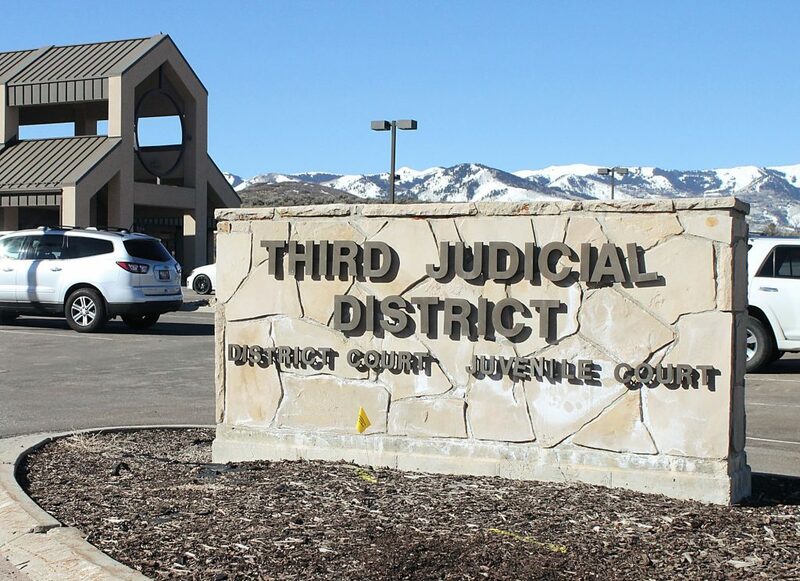 Students who pass the Advanced Placement exam in the given language can take the upper-division courses, which count for three college credits, said Jill Landes-Lee, the Utah Bridge Program director. DLI students who are on track could graduate high school with nine upper-division college credits, Evans said. The credits should be transferable to both in-state and out-of-state colleges. One course is in place for Spanish this year, with other French courses and more Spanish courses expected to roll out as the French and Spanish DLI students move up through the grades. Since the French DLI program started in 2011, the first students are still in eighth grade at Treasure Mountain Junior High. Adding courses has been one of the challenges the district has faced since implementing DLI. Teachers have had to adjust lessons so the students are continually challenged each year. The state provides the curriculum and text books for grades one through 12, but teachers must prepare to teach the lessons. 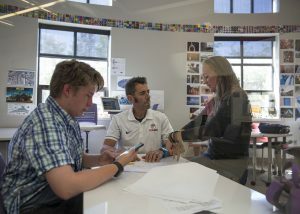 George Murphy, a Park City High School Spanish teacher, is co-teaching this year’s 3000-level course with a professor from Utah Valley University, who visits the class once a week. The course studies Spanish film and literature, Murphy said. He spent the spring and part of the summer preparing lessons for this year’s new class, and he will likely have to do the same over the next two years. Murphy is glad to do the work, though. The students are high achievers, he said, which may be attributed to the intense program they have been involved with for the majority of their education. And that is the case regardless of the student’s native language. Both native Spanish and English speakers excel, he said. That is likely because, on average, the students have been doing a little more work than their peers since first grade. For the first few years of DLI, the students spend half of their day in Spanish or French and half of their day in English. They learn subjects like math and science in a language that is foreign to them. Fischer Caplin, a sophomore from the first DLI cohort, said it was difficult and scary to be thrown into another language at a young age. It was hard work for several years, but now he is grateful he persevered. He loves being able to travel to different countries and speak the native language, and he does not want to stop with Spanish. He is taking his third year of Chinese and he took a summer course on Arabic. He doubts he would have had such an interest in foreign languages if he were not in the DLI program. “This exposed me to how fun it is to learn a new language, and it kind of got me hooked on it,” he said. But his favorite part of the program was the community he formed with his peers. He has been in Spanish classes with the same students for most of his schooling. Most students in Murphy’s 3000-level class say the same thing. Josie Marshall said she has enjoyed having some continuity as she and her peers moved through Treasure Mountain and PCHS. Brittney Mellin, who started the program in second grade after moving to Park City, agreed. She also liked having a large group of friends that she could speak both English and Spanish with. She was raised in a bilingual home — her mother speaking Spanish to her and her father speaking English. She said her father signed her up for the program so she learned written Spanish and grammar rather than only being able to speak it. Mellin said watching her classmates strive to learn her family’s native language made her proud of Spanish and her own ability to be bilingual. She was also someone her peers could go to when they had questions, which boosted her confidence. At Parley’s Park Elementary School, half the students in each DLI class are native Spanish speakers and half are English. Vicky Rudolph, a second-grade DLI teacher at Parley’s Park, said that mix can help students on both sides. Native English speakers reach out and help non-English speakers, especially when they are new to the district, and those same non-English speakers help their English-speaking peers when it is time to switch languages. Although Rudolph said she does not encourage this behavior — she wants students to speak only the specified language during that time — but it is nice to see the collaboration. It helps blur the differences between the students. She has seen the program change over time as students have moved through the grades. Once the students got to middle school and junior high, the DLI teachers learned there were different things they could be doing to prepare the students. She expects alterations to continue to happen as more courses are rolled out each year. Part of that evolution is the evaluation of students in the program, Rudolph said. She said students are no longer pressured to see the program through if they are struggling. When the program started, that was not the case. 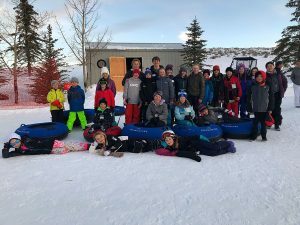 Rudolph and other teachers at Parley’s Park said parents were the main advocates of DLI, and it seemed like the “thing to do” in Park City. That meant some students were in the program that probably should not have been. Melissa Bott, Rudolph’s co-teacher, said she started seeing students struggling in all subjects because they were falling behind in the fast pace of the DLI classes. “It is not what is best for all kids,” she said. Now, Bott and Rudolph said they have a better process in place to measure a child’s success in Spanish and other subjects. If they see they are struggling, the educators can speak with administrators and the child’s parents about pulling them out of the program. The decision is ultimately in the parents’ hands, but Rudolph said she feels like she has more of a voice now. Interest in DLI is still high, though, Evans said. There are always waiting lists to join the program because parents want their students to be bilingual, she said. Classes are capped at 25 students. At Trailside Elementary School, that means first-grade DLI classes have 23 and 21 students and the traditional courses have 11 or 13 students. Those asymmetrical class sizes have been a talking point at recent Park City Board of Education meetings. Some say 23 students is too many but 11 is far too little. The district’s response is that because of the rigor and fast-paced learning of DLI, students are likely to drop out of the program and even the numbers out as the grades progress. Teachers at Parley’s Park wonder if less students would drop out if class sizes were smaller and teachers could have more one-on-one time with students, particularly in the lower grades. Rudolph said DLI is moving in the right direction, and she is sure more changes will be made as students move through the program. It is challenging to continuously adapt, but rewarding when she sees her students catching on. Earlier this month, she saw something that spurred her to post on social media with the hashtag #winning. While her students were playing a game in groups, she turned her back to quickly do something on her computer. When she turned around, she heard seven students speaking and even arguing in Spanish.